Wilhemina can be a hot-tempered girl at times, but deep-down she can be caring. 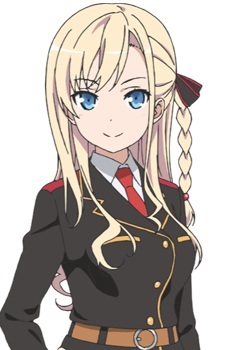 As an excelling student from a marine school in Germany, she straightens the Harekaze crew up to become more effective in battle. She has a habit of using the word "washi" to refer to her in the first person, much to the Harekaze's crew humor. She learned this from watching Japanese gangster movies, an interest she shared with Kouko Nosa, the Harekaze's secretary. Together, they would even speak lines from the movies while maintaining the speaker's character.